Dell Inc., has released a new version of its Kace K1000 systems management appliance which allows IT admins to manage a wider range of connected devices including Chromebooks. The low-powered but sturdy Chromebook is essentially a thin-client that runs on the Chrome operating system and accesses applications over the Internet of corporate network instead of an internal hard drive. The device has becoming very popular with schools looking for low-cost computing devices for students. Google itself has recently made an enterprise push for its Chromebook. More than nine million Chromebooks have been sold during the first month of this year compared to six million in 2014 and 2.6 million in 2013, according to figures from analyst firm IDC. Dell is hoping this trend will carry out into the enterprise space and that Kace K1000, with its ability to manage connected devices, will hit it big with corporate IT departments. Dell commissioned a survey of 70 IT professionals recently. In addition to traditional computing devices, 96 per cent of respondents indicated they deployed printing devices, 84 per cent had mobile devices, 76 per cent had telephonic devices and 53 per cent had audio visual devices connected to their networks. Nearly 90 per cent of the respondents expect the total number or types of devices requiring management to increase in three years. 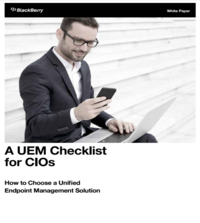 “With the proliferation of mobile and smart devices connected to corporate networks, it is imperative for organizations to make systems management a top priority,” said David Kloba, vice president and general manager of endpoint systems management for Dell. Dell KACE K1000 version 6.3 provides IT departments with new agentless inventory of Windows servers and PCs, as well as an option to integrate server monitoring logs and alerts for Windows, Linux and Unix servers. Dell KACE K1000 v6.3 is available as a physical, virtual or hosted appliance. It is priced at $10,999 for the physical or virtual appliance and 100 managed systems – computers or servers. The Dell KACE K1000 is sold direct by Dell and through an extensive network of Dell certified channel partners. The K1000 as-a -service is available for $8.49 per managed computer per month. An additional charge of $2,499 supports up to 200 licenses for server monitoring. The license cost for managing Chromebooks and non-computing devices is $1,549 for up to 250 devices.